About Me Hello, I'm Jeff Jackson. 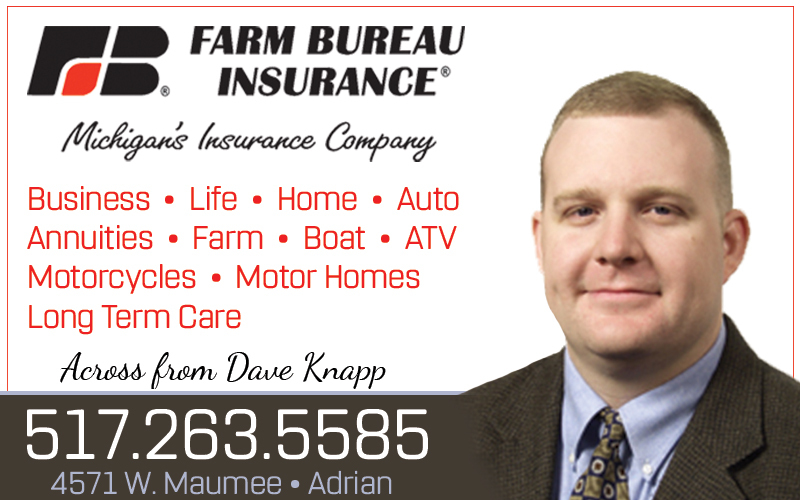 As a Farm Bureau Insurance agent in the Adrian area, I provide some of the best life, home, auto, farm, and commercial insurance available here in Michigan. In fact, I can probably provide for all of your insurance needs. Throughout its history, Farm Bureau Insurance has recognized the special needs of its clients, the people of Michigan. While each of us needs insurance protection, our needs are unique, and the best way to help is to understand those needs. We're dedicated to matching your needs with the best products. As one of our insureds, you can expect fast, fair, and honest treatment. As long-time members of this community, my family and I appreciate all that Adrian and the surrounding area has to offer. I'd very much like to help you to make your financial future more predictable. Accomplishments I am a licensed, multi-line insurance agent, which means I can meet all your insurance needs. With me as your agent, you can make just one phone call and I'll handle your entire insurance program. I've made a commitment to serve the local community and I've made a commitment to always increase my professional knowledge so that I can better serve my clients.. I'm proud of my involvement in continuing education. It's part of my overall commitment to provide the best possible insurance service to you, your family, and your community.